Posted on 9 February 2018 | Comments Off on No God but One: Allah or Jesus? My review of Nabeel Qureshi’s book No God but One: Allah or Jesus? appeared in the September 2017 issue Reformed Faith & Practice. The review was written some time before Nabeel’s death, and, by unfortunate coincidence, it was published online on the day of his funeral. For that reason, I didn’t draw attention to it at the time. Still, I think it makes some important observations about current trends in evangelical apologetics, so I’m now highlighting the review here. Comments Off on No God but One: Allah or Jesus? Suppose Chris says, “Gordon is married,” and Malcolm says, “Gordon is a bachelor.” Has Malcolm contradicted Chris? It depends on whether Malcolm is referring to the same ‘Gordon’. If Malcolm is talking about some other ‘Gordon’, there’s no contradiction. Conversely, if you think Malcolm has contradicted Chris, you’re presupposing that they’re talking about the same ‘Gordon’. Now suppose you think, as is plausible, that when the Quran says that God has no son (Q4:171; Q6:101) it’s contradicting the Bible (John 3:16, etc.). In that case, you’re presupposing that the Quran is referring to the same God as the Bible. Conversely, if you think the Quran is referring to a fictional, non-existent deity when it says that God has no son, you need to consider whether the Quran is actually contradicting the Bible in saying so (and if it is contradicting the Bible, how it is doing so). The same goes for other objectionable statements the Quran makes about God. If you say the Quran is in fact referring to the God of the Bible (because it make false claims about the God of the Bible) are you thereby implying that Christians and Muslims “worship the same God”? Not necessarily. It all depends what you mean by “worship the same God”. Triggered by recent events at an evangelical Christian college, there has been an explosion of discussion about whether Christians and Muslims “worship the same God.” In my experience, most people think the answer to the question, “Do Christians and Muslims worship the same God?” is very obvious. What’s fascinating, however, is that some of those people think the answer is obviously yes, while others think the answer is obviously no! One immediate pitfall is the ambiguity in the word ‘same’. If someone says “John and Julie have the same phone,” that’s a different kind of statement than “John and Julie have the same father.” There are two phones, but only one father! Now consider this statement: “John and Julie read the same book.” How many books were there? Do Christians and Muslims believe in the same Deity, despite their (very significant) disagreements about the nature and character of God? Is the worship of Christians and Muslims directed towards the same Deity? If it is, does it follow that Christian worship and Muslim worship are equally acceptable to God? Can both Christians and Muslims be said to know God? If so, exactly what kind of knowledge are we talking about here? Purely intellectual knowledge? Personal relational knowledge? Saving knowledge? If Christians and Muslims do share some common knowledge of God, does it follow that both groups respond appropriately to that knowledge? This list of questions isn’t meant to be exhaustive, only illustrative. And equivalent questions can be asked of Christians and Jews, Christians and Hindus, Christians and Mormons, and so forth. 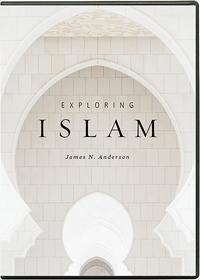 Recently I watched the two-part discussion between Dr. James White, President of Alpha & Omega Ministries, and Imam Muhammad Musri, President of the Islamic Society of Central Florida, which took place on March 21, 2015, at Reformed Theological Seminary in Orlando. Where Are the Muslim Doctors and Nurses? Posted on 24 June 2014 | Comments Off on Where Are the Muslim Doctors and Nurses? Comments Off on Where Are the Muslim Doctors and Nurses? Needless to say, the Koran-burning stunt (apparently now abandoned, thankfully) was a phenomenally stupid idea. But does anybody know the Arabic for “double standards”?